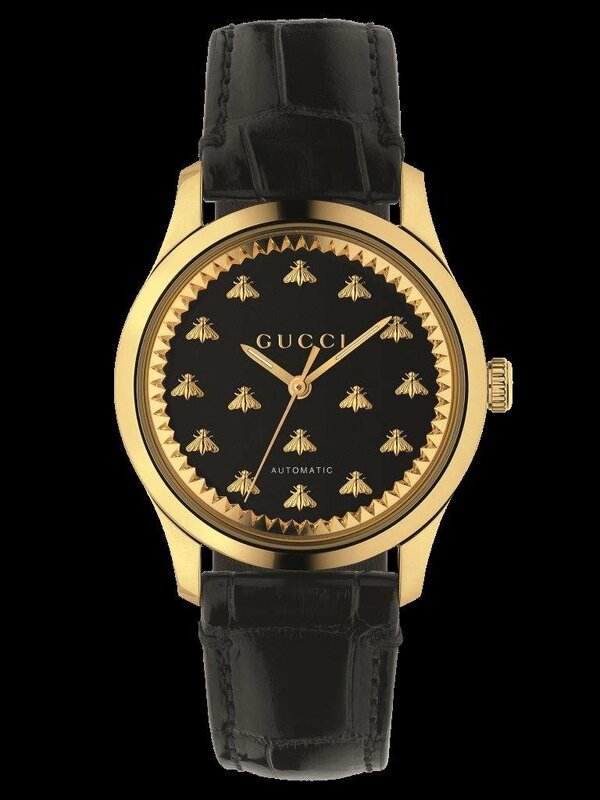 Three new 38mm watches showcase an 18kt yellow gold case, together with a black onyx stone dial and black alligator strap, a brown tiger eye stone dial and brown lizard strap, or a green malachite stone dial and precious skin strap with a printed pattern. 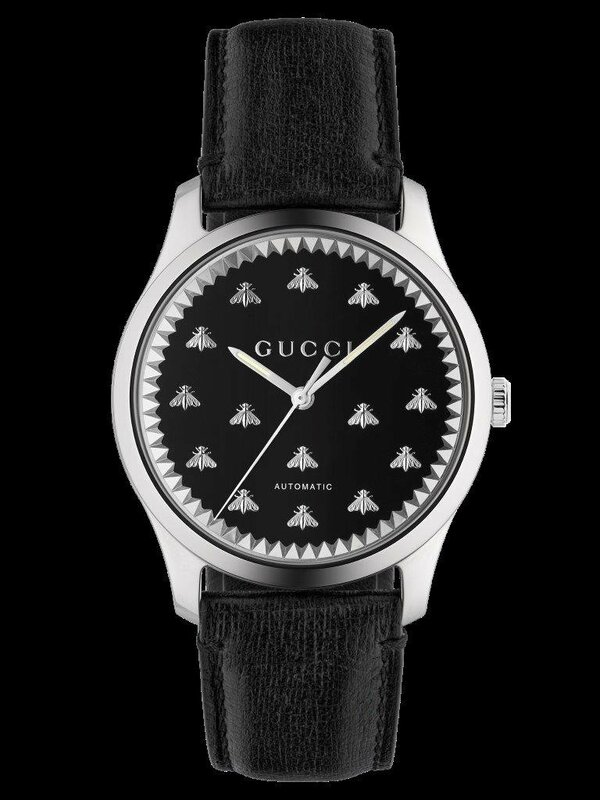 The straps are interchangeable, offering endless possibilities for customization. 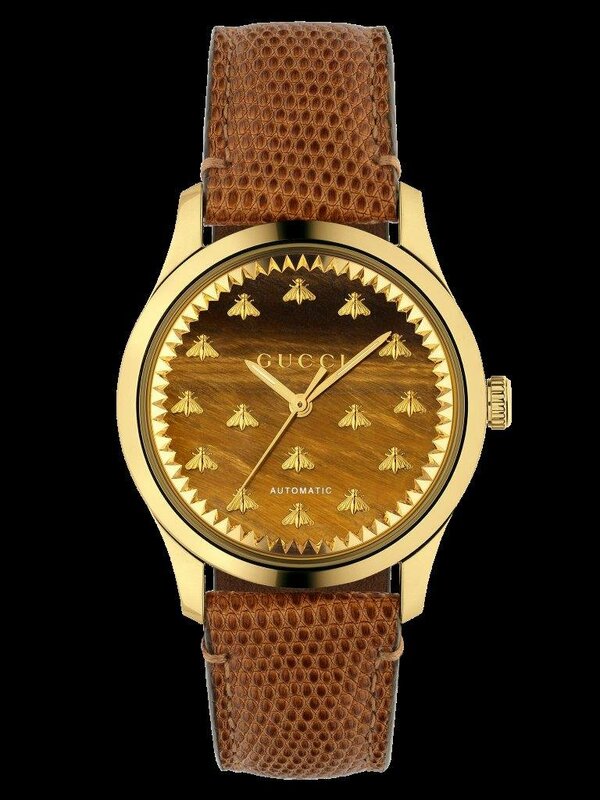 Two further 38mm variants combine 18kt yellow gold and steel to form a chic mixed-metal effect. 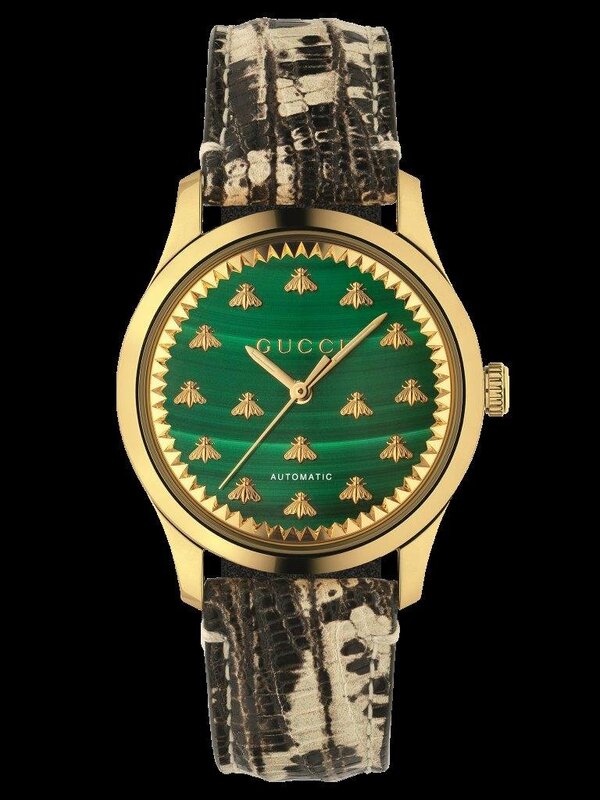 One displays a steel case, a steel and gold buckle, a blue lapiz stone dial, and a blue lizard strap. 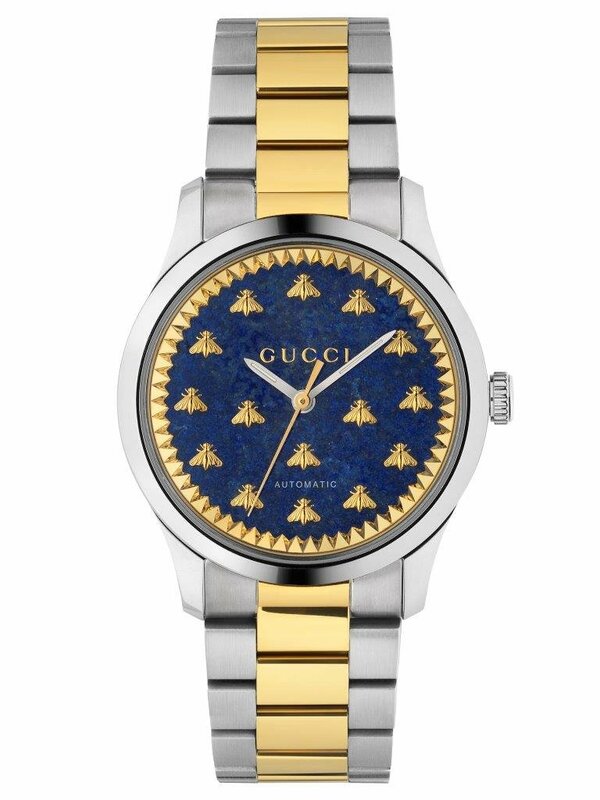 The other reveals a steel case, a blue lapiz stone dial, and a steel and gold bracelet. 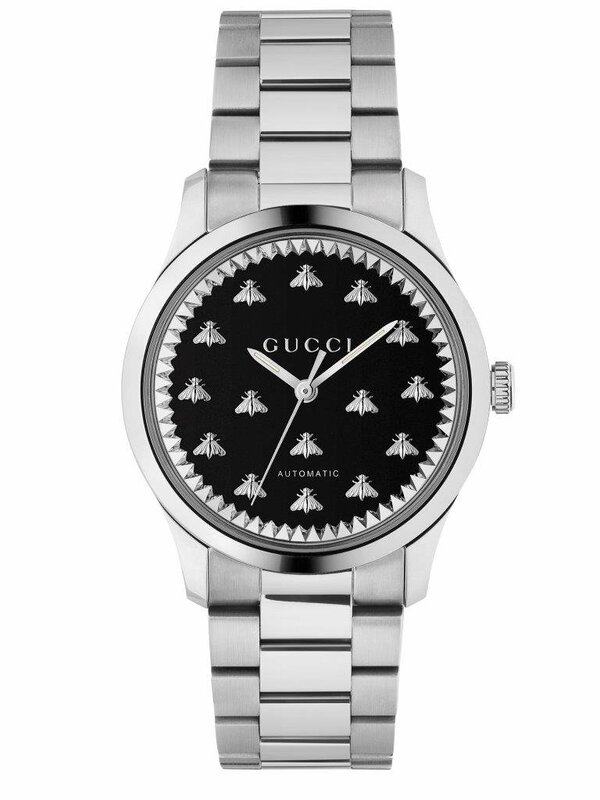 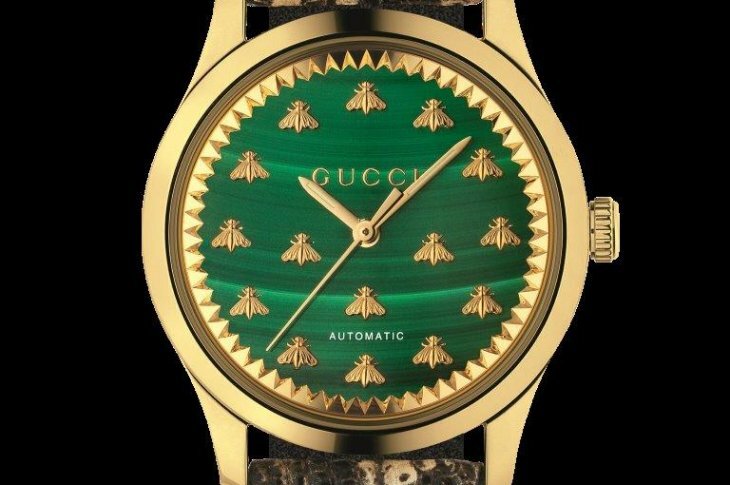 Adorned with bee motifs, the dials of both models are unmistakably Gucci.